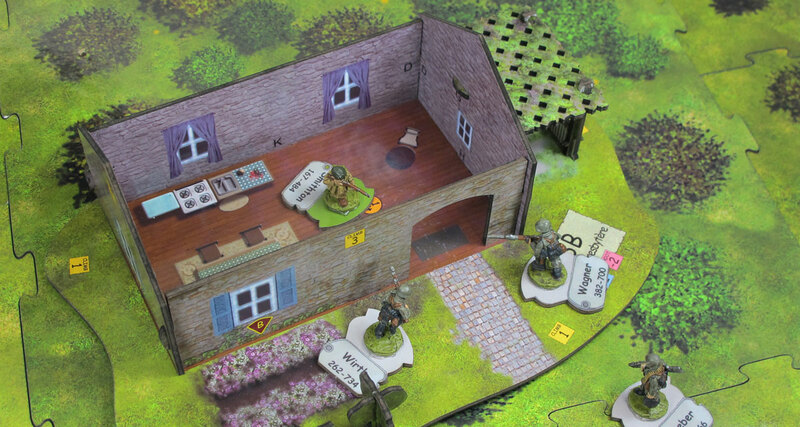 X-Terrain expansion sets add 3-D buildings and fortifications to Sergeants Miniatures Game. 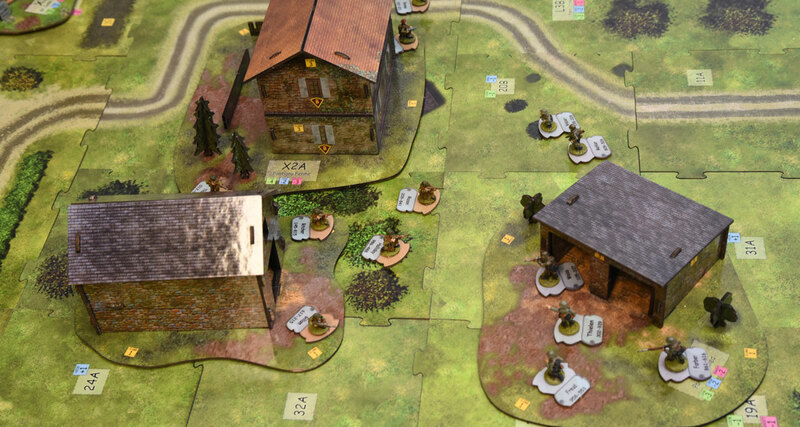 While buildings and other terrain printed on the squares and landmarks of the Sergeants map provide some concealment, but little or no protection; X-Terrain adds critical points of elevation — allowing the soldiers to climb — and introduces true line of sight rules. 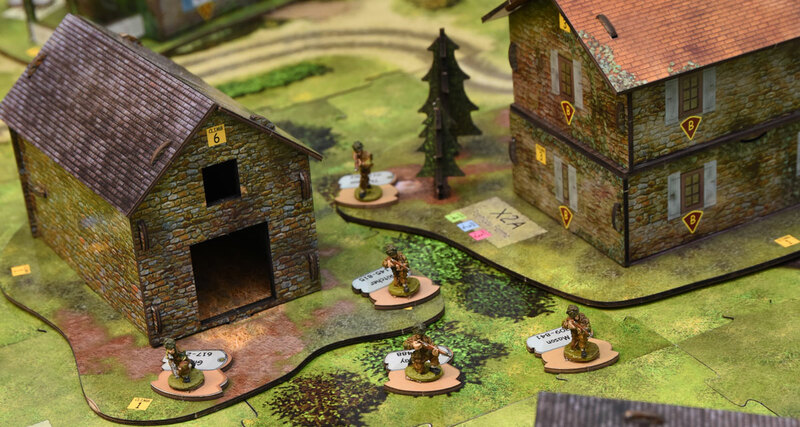 Many of the locations also protect against hits scored during battle – either because of wood, stone, concrete walls or because the soldiers are dug-in. 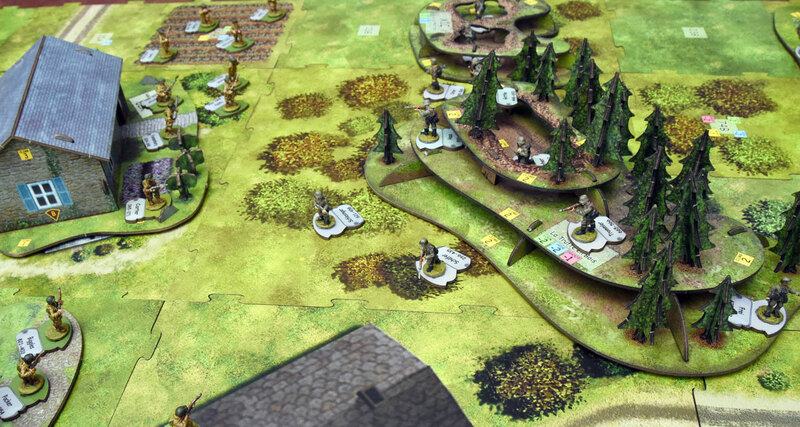 These 3-D structures are created from the same durable material as the map terrain tiles. Each piece is easy to construct and with proper care, are made to last. Also included are scenarios, orders, and special equipment that will work with a variety of SMG starter sets and expansions. 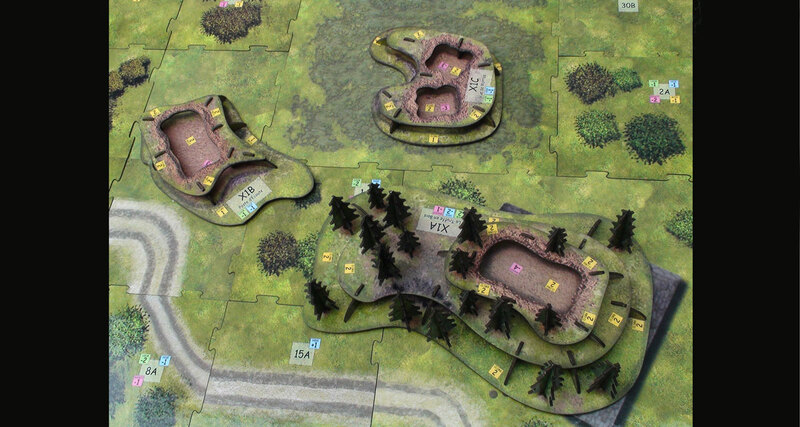 Manoire de Normandie is one of the more massive X-Terrain structures in SMG. The large double building is a two-story stone house with an adjacent one floor stone house. Both provide excellent cover from fire and is capable of housing a multitude of soldiers. 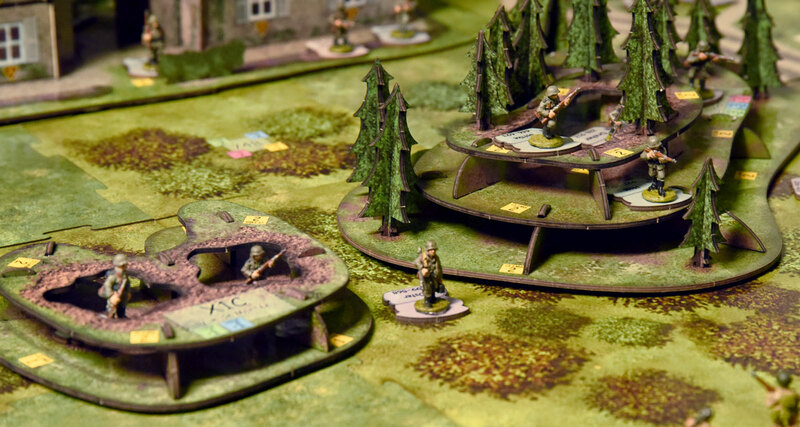 Also included are a small wood lean-to, Le Hanger and a Corner trench that is compatible with the Prepared Positions X-Terrain set. 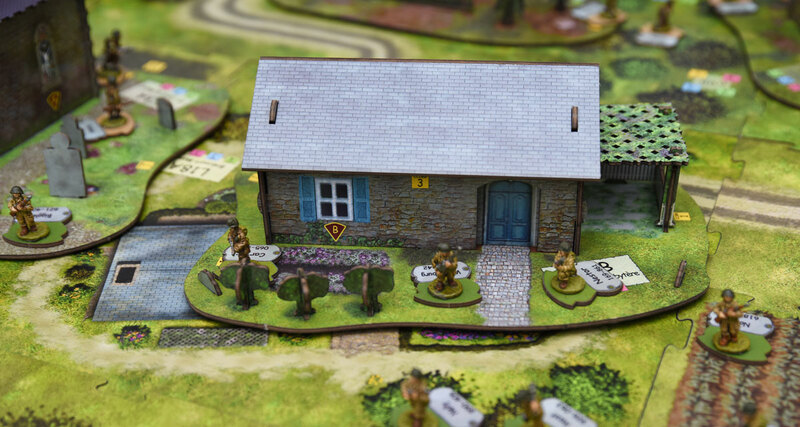 Pontigou Farm is a typical Normandy farmstead that contains three farm buildings – a two-story stone farmhouse, Pontigou Ferme, that can hold several soldiers per floor. Pontigou Shed is a stone lean-to, and Pontigou Grange with is a medium sized stone barn with loft. 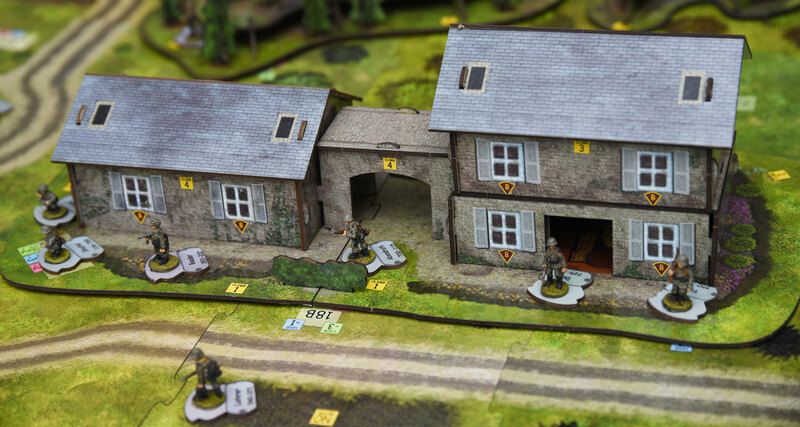 Each building protects from enemy fire and makes for an excellent defensive position. 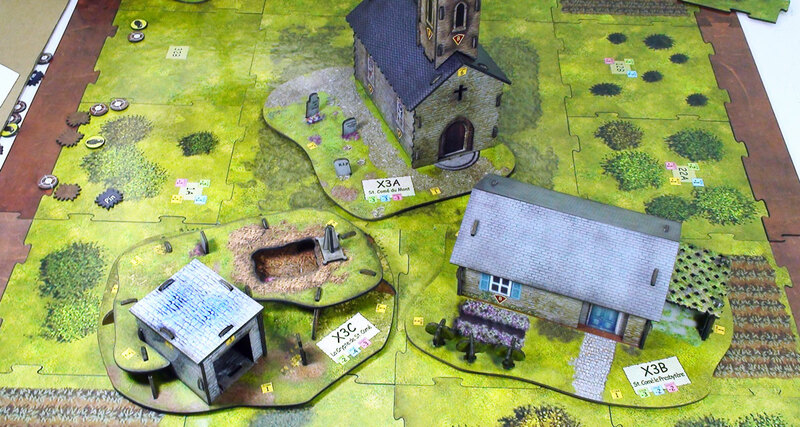 Saint-Côme-du-Mont X-Terrain is an entertaining set. 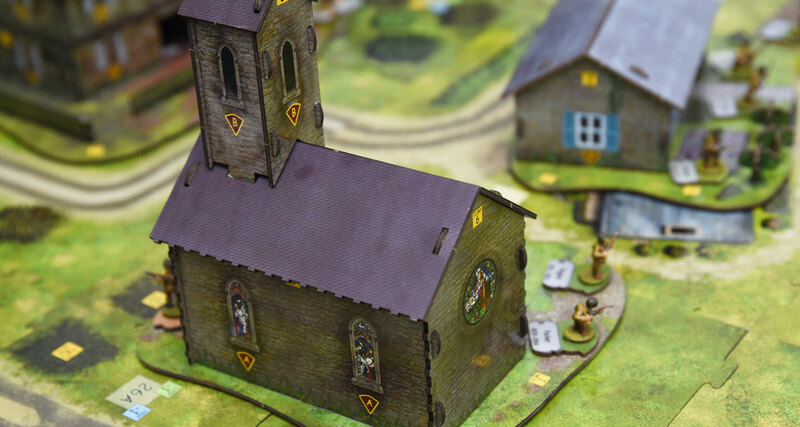 The small stone church, Saint-Côme-du-Mont , has special rules for the church steeple that provides an excellent field of fire for lookouts and snipers. The parsonage, St. Comé le Presbytrère, is another great defensive position that even contains a climbable trellis. The church graveyard, La Crypte de St. Comé, is an eerie piece with an empty crypt and grave hole that a soldier can use as a firebase or gun pit. 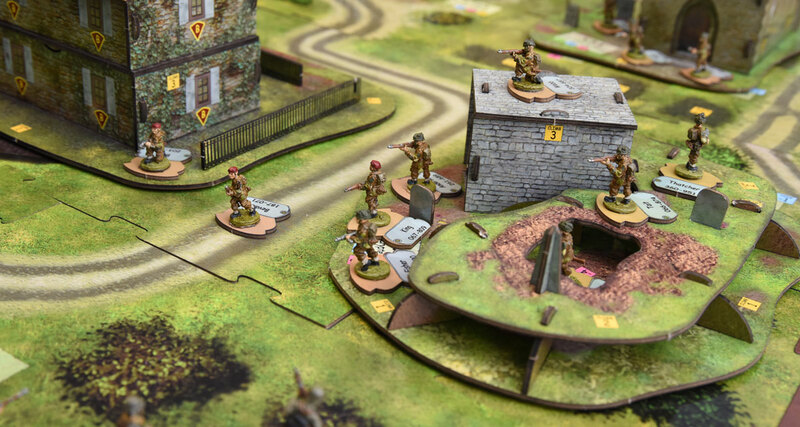 Merville Gun Battery X-Terrain set brings an exciting new aspect of hardened, defensive battles to SMG. 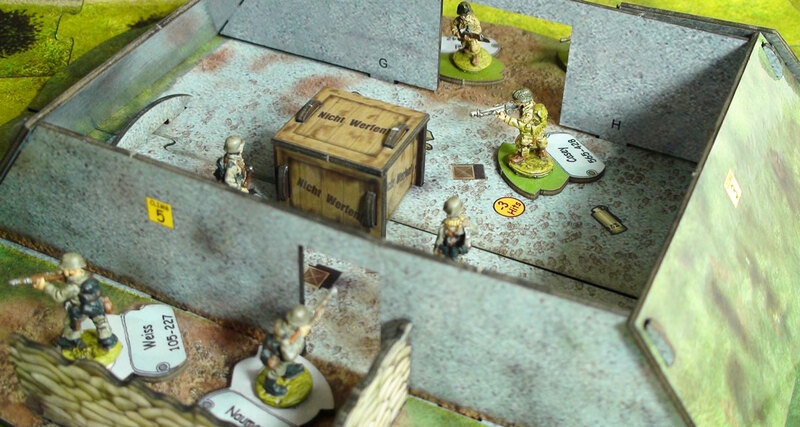 The central concrete bunker, Casemate, is a difficult obstacle to assault with infantry. With an extensive field of fire and reinforced with concrete, it will undoubtedly test your assaulting force. 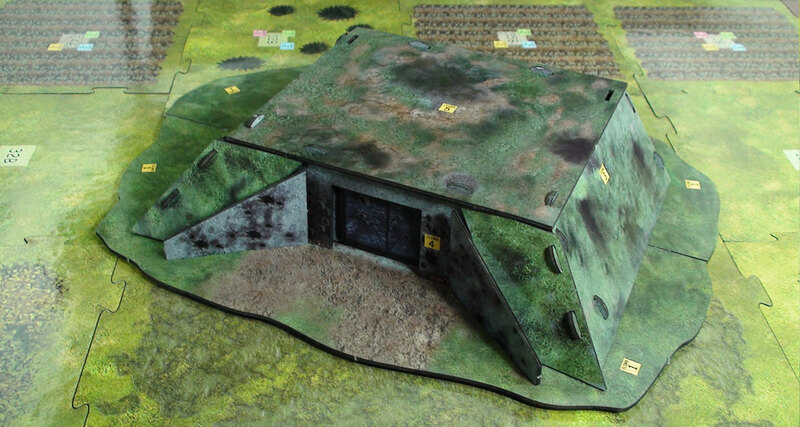 Although the strengths of this bunker make for an imposing obstacle, it does have its weaknesses as well. Make sure to pack a satchel full of grenades for this assault! 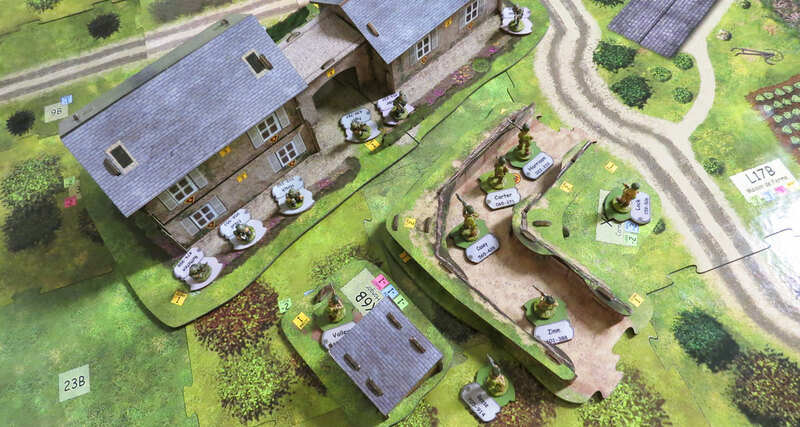 Hasty Positions features three defensive foxhole positions. 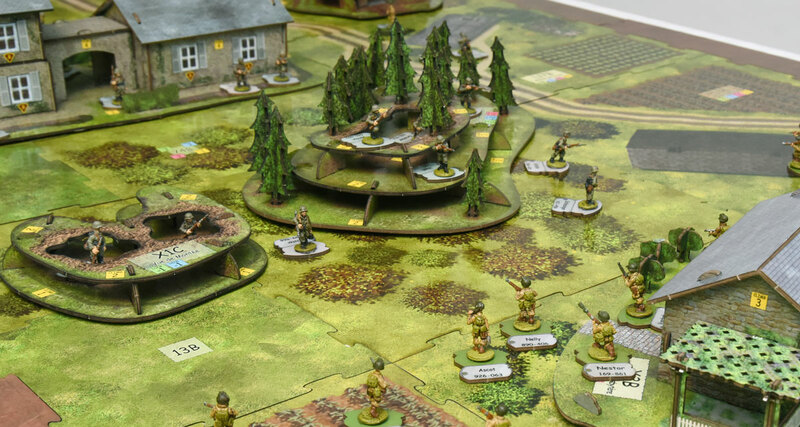 The tree covered hilltop, La Truffe en Bois , features three levels of elevation with a large foxhole at its summit. The listening post, Poste d’Écoute, and small double foxhole, Vue de Montée, both are simple dug in fighting holes that provide cover from enemy fire but do not protect from scored hits. A Field Telephone equipment card with rules are included to enable you to call in off-board artillery fire onto your enemy! 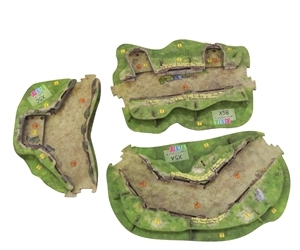 Prapared Positions features three different, interlocking trenches. The Firing Position has two raised firing steps. 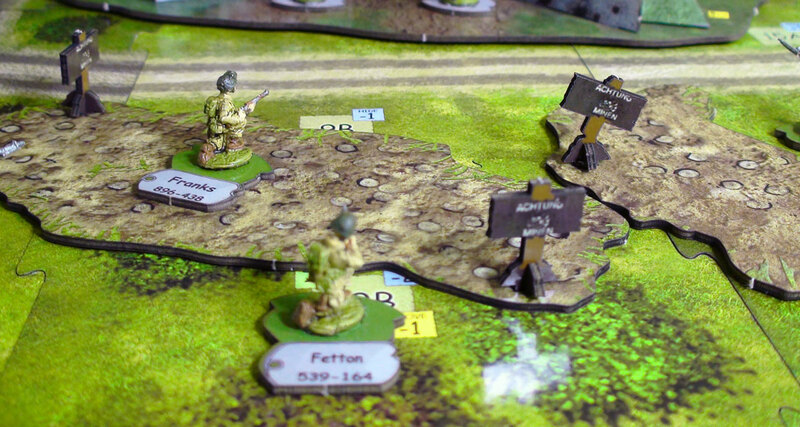 The Support Trench is a winding trench line that can link up to the Gun Position. 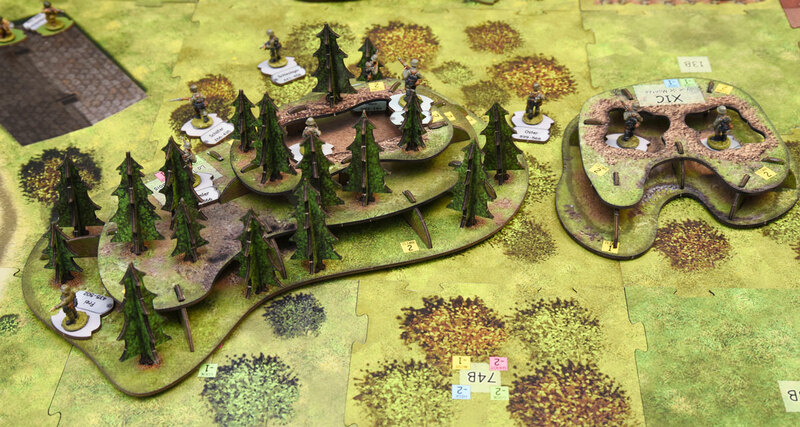 Each position is well supported so that it will protect a soldier from incoming fire as well as hits scored against them. A new equipment card, the German S-Mine , is a defensive anti-personnel mine. 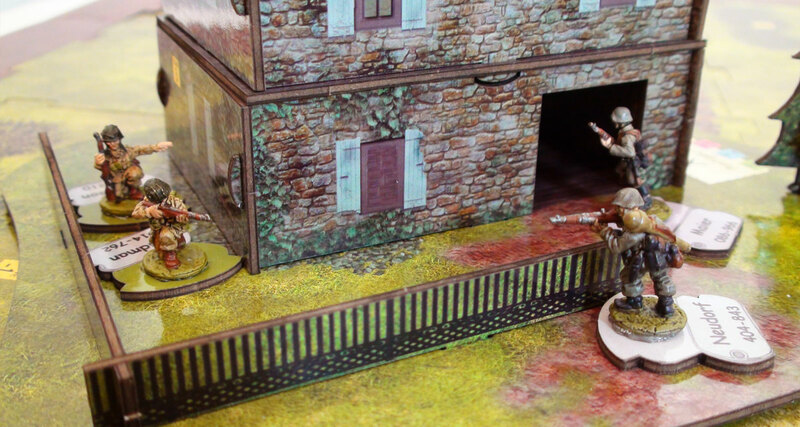 Any soldier entering the same area as the wielder detonates the mine to devastating results!